Hello my Muurians and welcome to yet another of my reports! I know it has been a long month since my last report with a lot going on both inside the Brotherhood and outside. Now it is time for a short rest. I want to start out by congratulating everyone on an ROS well fought. Though it just ended yesterday and we don’t have solid numbers yet, I saw a lot of Plagueians coming together and helping each other out! Though there were some hiccups and bumps in the road (I know there were quite a few RL things that popped up) you all came together as a team and did a fantastic job. And don’t worry too much, even if you didn’t get a submission in to every single bin, I know did your best and you still helped your clan! This was a fairly long event that I know drained the energy from a lot of people (myself included). So take a deserved rest and recuperate, because I have it on good authority that your Proconsul has something fun cooking in the works, but I'll let her tell you more when she is ready. Now give yourselves a round of applause, you did me and Plagueis proud. Now that the ROS is over wind down with these fun comps! It Just Popped In There - Ends12/19/18 - It’s never too late for some Halloween fun! All you need to do is draw something terrifying. Classical Art DB Style(Comedy) - Runs 11/23/18 to 11/30/18 - Sometimes a piece of art just speaks to you, now you can tell us what that piece says. In the form of an exhibition plaque, give a classical piece of art a DB related caption. Kids These Days - Runs 11/25/18 to 12/10/18 - Look into your character’s future and right a fiction based on one of their decendants. Here are all of the link you need to stay up to date on what’s going on right now. End of RoS and Clan Update - Proconsul open to applications - The one where Elincia announces that our good friend Raiju is stepping down and CSP is looking for a new Proconsul. Frosty Romanae Tarentae Invitational Tournaments - The one where Alaris announces the tournements that will close out the Brotherhood Gaming League for the year and trophies named in honour of a prolific gamer in our club who is no longer with us, will be up for grabs! Ajunta Pall Aedile Report #4 : The end is nigh! - The one where our friend Taranae over in HAP gives a post ROS congratulations. I know this report is a little light, with the end of the ROS we are just waiting on the results and more news to be released. Becuase of that and my lack of music spamming the Plagueis chat I will post my #songoftheday here. Because it is a light hearted and fun song and I think it is just what we need post ROS. Because over the weekend I had some company over and we did two things. We went axe throwing (which is a ton of fun and I highly recommend it) and then we had a bonfire which I had to saw and chop would for. 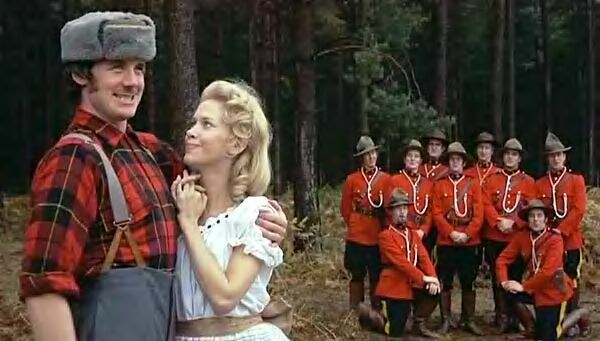 Without further ado, please enjoy the lumberjack song from Monty Python. As always, if anyone would like to reach out to me for any reason, I can be found on [Telegram - Log in to view join link] (if your not on Telegram yet, I’d highly recommend it. It’s free and our primary form of communication.) and by e-mail with very little delay. Until next time Muurians, I must slumber. Great report TuQ!!!!! :) YAY and Congrats to everyone who participated. Awesome report, TuQ. I concur that I am so proud of those of you who gave it your all during the RoS. Time to rest - you earned it.